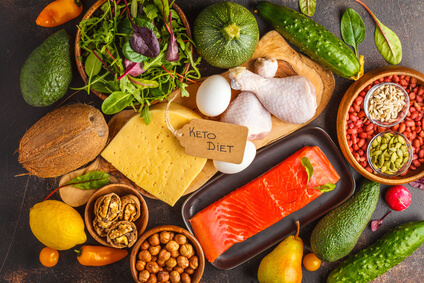 Before initiating the Ketogenic Diet, it is imperative that you have a discussion with your physician to determine if this diet/treatment is appropriate for you. There are three phases of the Ketogenic Diet: preparation, implementation, and maintenance. In this preparation phase you shift from a carbohydrate centric diet to more protein. In this phase the diet should be 50% protein (1 calorie = 4 grams), 30% fat (1 calorie = 9 grams), 20% carbohydrates (1 calorie = 4 grams). Depending upon your health you may need some liver/gallbladder support and nutrients during this phase. Note: If you are ready both physically and emotionally, you may jump directly to phase 2. Important: you must monitor your daily intake of calories and macronutrients (carbohydrates, protein, and fats). To monitor your intake it is recommended to use a smartphone or computer app such as “Carb Manager,” see https://www.carbmanager.com/. Use the USDA standard dietary guidelines (see below) to determine your daily caloric intake. Weight loss on the Ketogenic Diet will occur when your caloric intake is 30% less than the recommended levels (see below). Note that if your daily caloric intake falls below 1,000, your body will significantly slow down ALL metabolism as though you are starving. This may cause breakdown of muscle and other organs for additional sources of energy from protein. This will likely reverse ketosis. In this implementation phase you shift to 60% fat, 30% protein, 10% carbohydrates (“Modified Atkins Diet”). You maintain the same caloric intake as Phase 1 and throughout the Ketogenic Diet. In this phase you are shifting from glucose energy to ketone energy. The end result is ketosis. Ketosis is measured at minimum of 0.3mmol/L. Periodically you may not feel well during this phase, almost like a flu: it is only temporary. It is usually due to deficiencies in micronutrients and water intake. This maintenance phase is very personal. The most important aspect of this phase is to find your comfort zone of macronutrients and exercise where you remain in ketosis. Important: more is not better. Stay above 0.3 mmol/L. When you know you have had too many carbohydrates and protein CHECK YOU BLOOD LEVELS for a few days as you correct your diet to stay on track. Periodically you must check blood lipid levels as well as micronutrients such as sodium, magnesium, potassium, calcium, selenium, etc. There are several different labs that we recommend depending on the objective of the test. We use: Quest and Lab Partners, Genova Labs, and SpectraCell. It is very important to monitor digestive health. 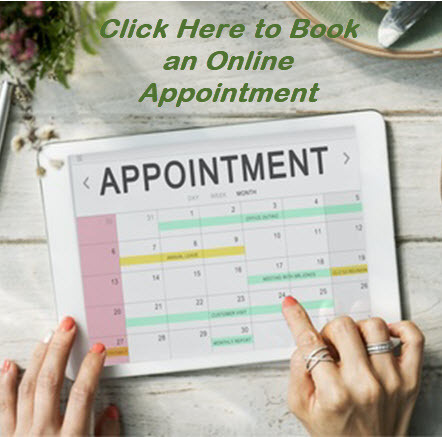 If you experience bloating, gas, indigestion or reflux, abdominal pain, mood changes, headaches, skin rashes, and changes in bowel movements such as constipation or diarrhea, it is recommended to follow up quickly with a comprehensive digestive analysis.